You are agreeing that the defendant will appear for court – By co-signing a bail bond, you’re essentially going to bat for your loved one. But that means risk is involved. After all, your credit and collateral are both on the line here. Should the defendant fail to appear in court on their specific dates, there’s a big problem. If you’re at all concerned the defendant will not show up to court, then it’s probably best to consider other options. You agree to pay for the services of the bondsman – Co-signers have the option to either pay the bondsman upfront or arrange a payment plan if that’s a possibility. In New York City, fees can range from 6 to 10 percent depending on the severity of the crime. The defendant will be released from jail – The whole reason for posting bail is to get your loved one out of jail. Do you have any concerns about the defendant’s release? If so, be sure to discuss further with the bondsman. They should be able to clarify so that you don’t have to be concerned with potential loss of credit, assets, and collateral. You can request stipulations – Many co-signers fail to realize this often-forgotten right of theirs. Per the agreement, you are able to request stipulations associated with the terms of the defendant’s release. Let’s use an example. Your loved one was arrested and booked into jail on DUI charges. For years, you’ve known that they have a problem with alcohol. It could be that you’re skeptical about co-signing because there’s a chance the defendant misses their court appearance. Here’s the thing though: it’s your right to ask that your loved one be placed in a substance abuse treatment program upon their release. So not only are you bailing them out of jail, but you’re also playing a major role in getting their life back on track. You have the right to return the accused to jail – Can you imagine helping law enforcement personnel put your loved one back in jail? You may be shaking your head, thinking that would never happen. But hear us out for a minute. Let’s revisit that DUI example from the aforementioned point. You pay the bondsman and the defendant is released for the time being. But almost instantly, your loved one returns to a lifestyle of alcohol and substance abuse. So you start wondering, “My credit is going to take a turn for the worse if they don’t show up for court.” It’s completely unfair, right? Thankfully you’re protected though. In this case, you have the right to request a cancellation of the defendant’s criminal bond from the local bail bondsman. Think of this as a last resort. Why Choose Us For 24/7 Bail Bonds? 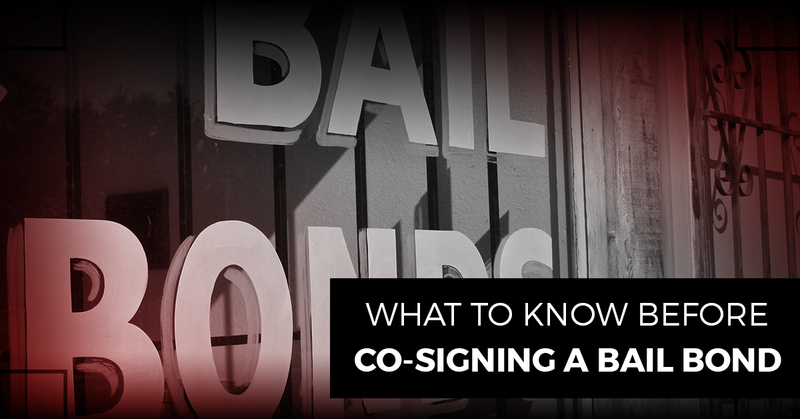 There’s no question that co-signing a bail bond is one of the biggest decisions you ever make. Especially if you don’t have much previous knowledge of bail bonds, the process can be daunting. That’s where we come into play. With over 50 years of combined experience, our agents will happily walk you through each step. Unlike other bail bond companies, we don’t treat your case as a number. We believe that people make mistakes and deserve to get the help they need. It’s no secret why NYC residents come to us for emergency bail bonds. We make it a point to work on your case efficiently so that your loved one is out as soon as possible. As far as payment is concerned, you can trust us to go the extra mile on your behalf. Whether you prefer to put down collateral or set up a flexible payment plan, we will work with you. We even accept all major credit cards and personal checks. If you have questions about co-signing a bail bond, please don’t hesitate to contact us. ABC offers domestic violence bail bonds, DUI bail bonds, and more.